Boundless Paradise| CityOn x JD Logistics unlocks a mysterious world! The summer quartet is coming! CityOn. Xi’an welcomes the coming of World Cup, Father’s Day, Duanwu Festival and 618 promotion this month. And there is another unique activity waiting for customers. CityOn. Xi’an teams up with JD Logistics and builds a boundless paradise of logistics for you. There will be a super big mail box full of magics to come out. Come and witness its open on June 16. In the relationships with families, friends and your wife/husband, we must find the proper role to build and maintain. Fill up the blanks in A is B’s C and tell your beloved your deepest voice inside. This time, the goal is not what you will aim, a huge mail box is. Gamepadsn and Xiaomi phones are waiting for your kicks! Besides boundless paradise, CityOn’s members could redeem a phone case and a screen protector. CityOn prepared one thousand gift card for customers, and more cash coupons. 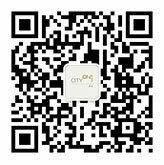 Moreover, customers who come to or depart from CityOn on Didi will get an opportunity in the lucky draw. Let this summer carnival open at CityOn. Xi’an.